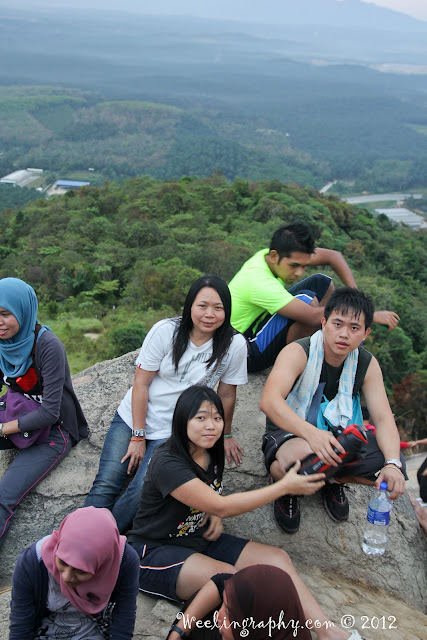 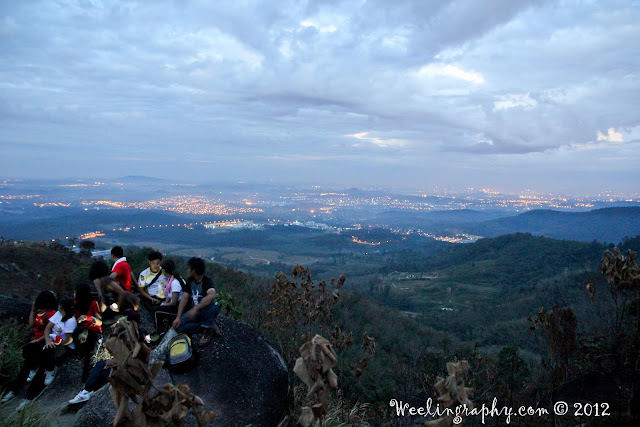 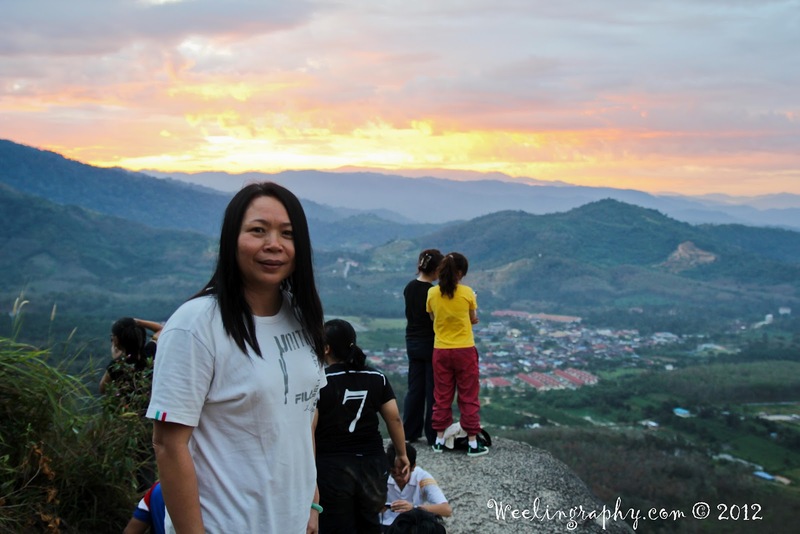 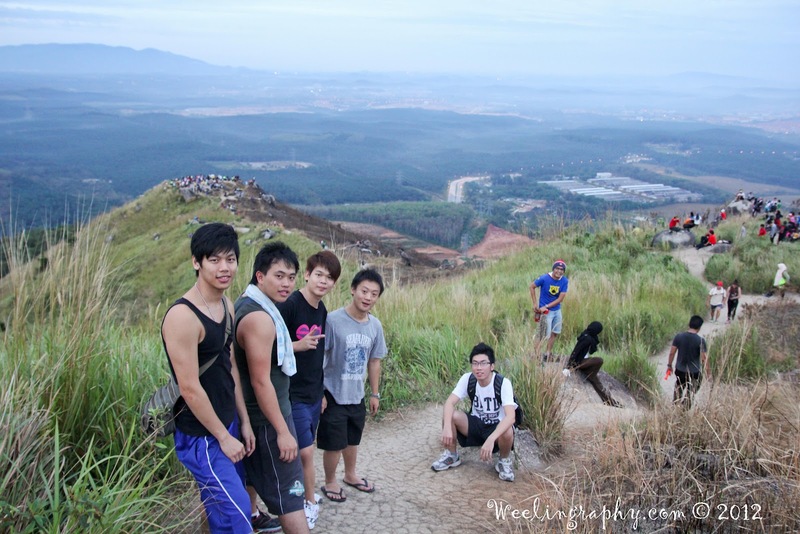 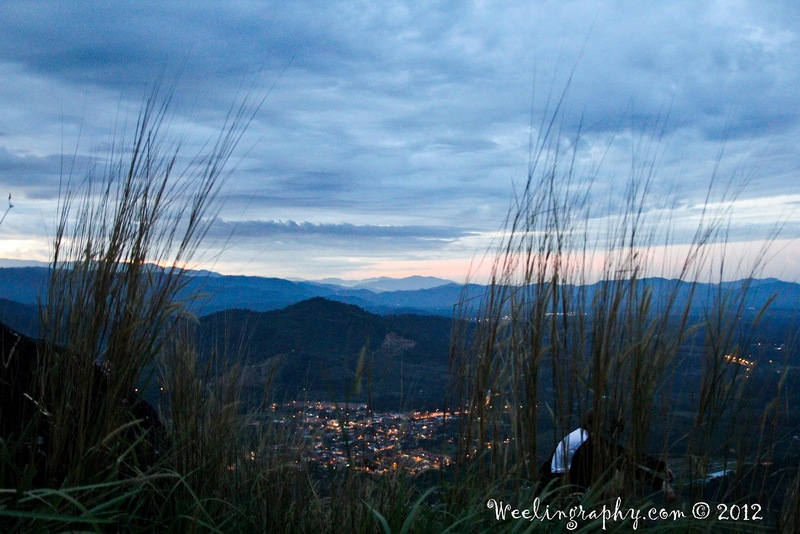 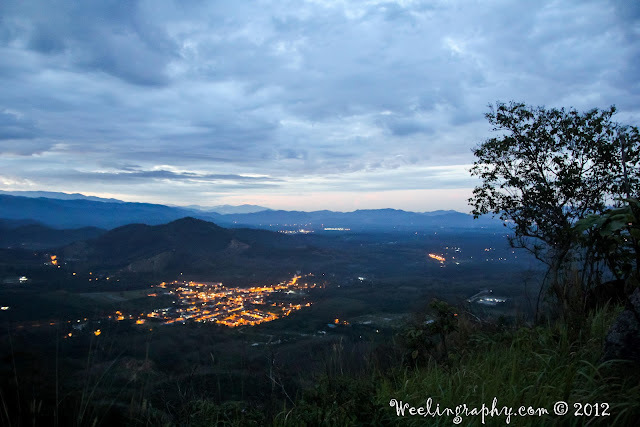 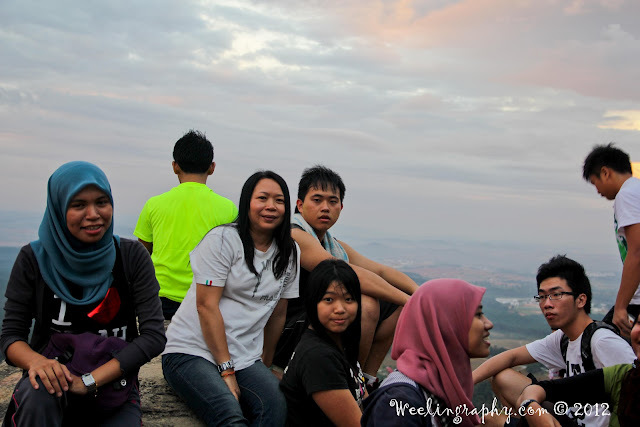 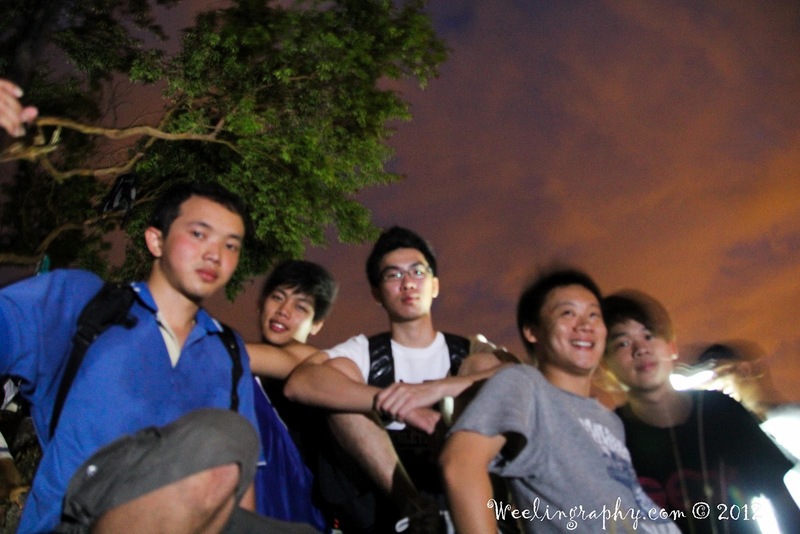 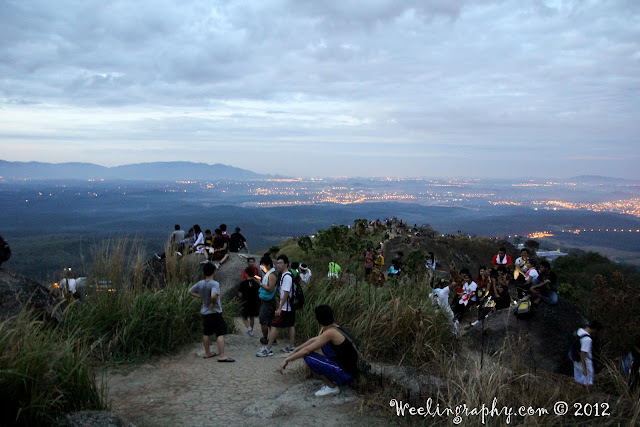 Heard of Broga hills ( Semenyih) for a while, but don't have chance to go there. 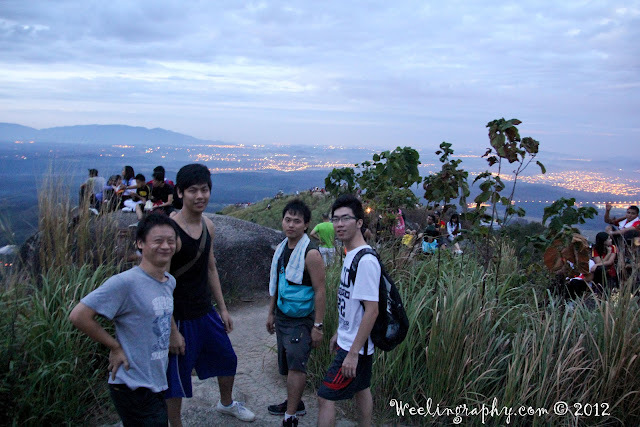 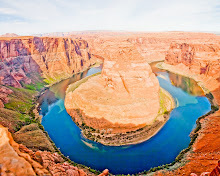 So the time had come, and i went there for a hike. 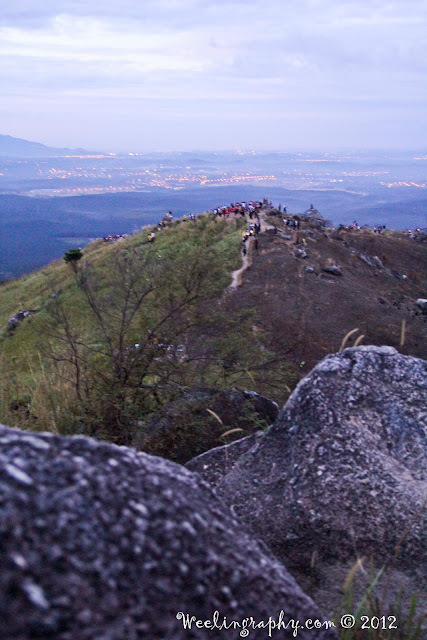 Woke up at 4a.m and prepare all those stuffs required and begin or journey to semenyih. 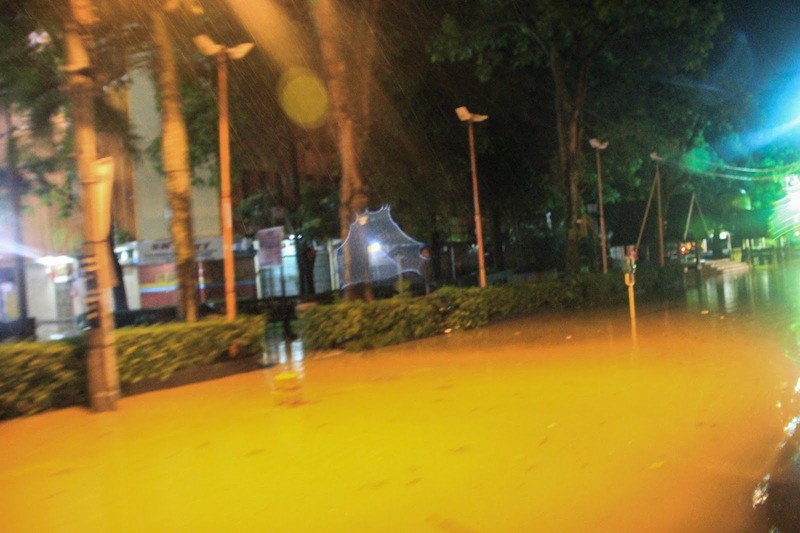 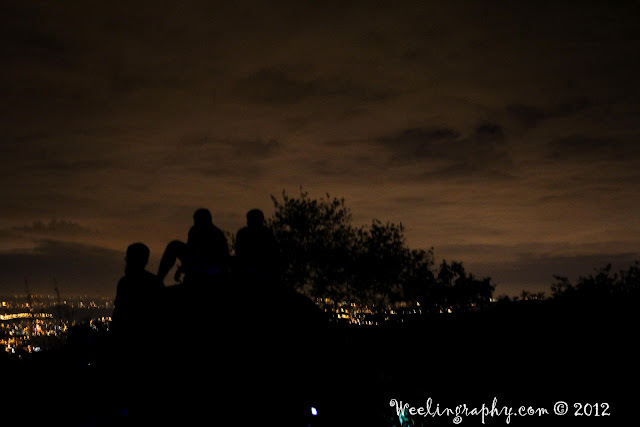 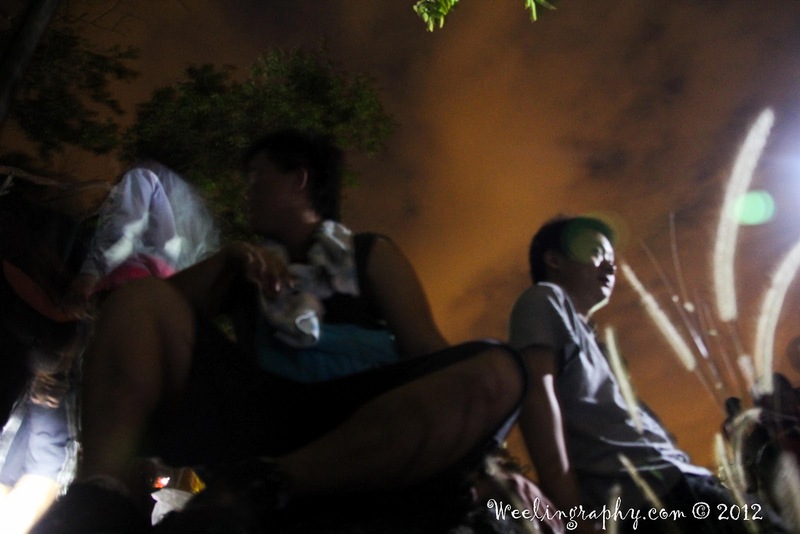 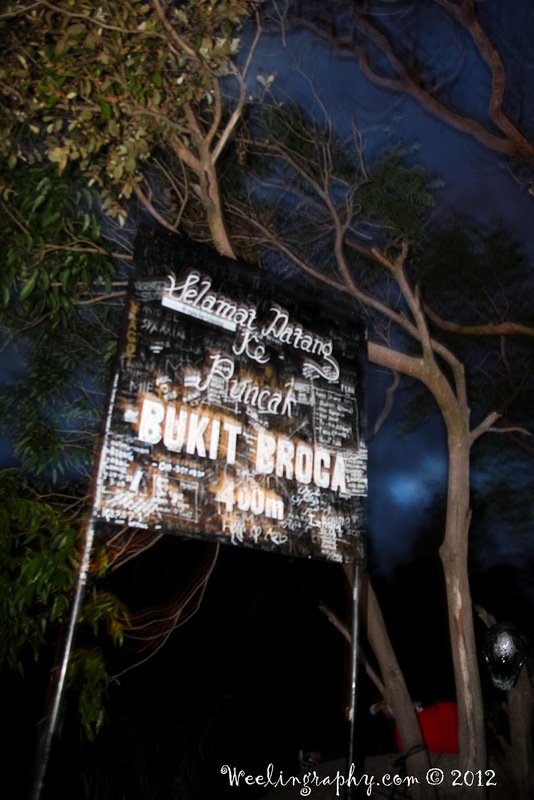 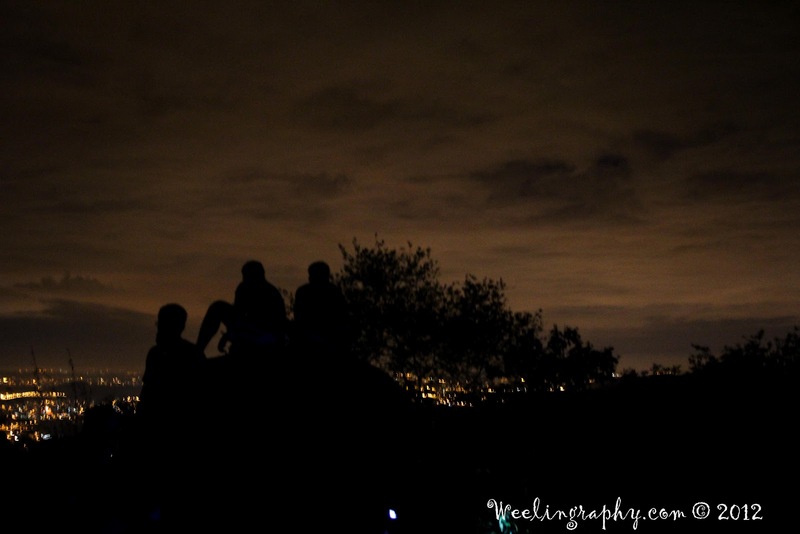 About 5 a.m ++ reach the foothills of Borga, the entrance is from palm estate a RM2 parking fees is charged if you want to park in the palm oil estate, by the time we reach there, it's already filled with car and lot of peoples holding torch light beaming the dark environment. Begin our hike,it's quite difficult to hike along the trails because there is no proper managed trails available, all the trails are unintentionally created by hiker who passed there. 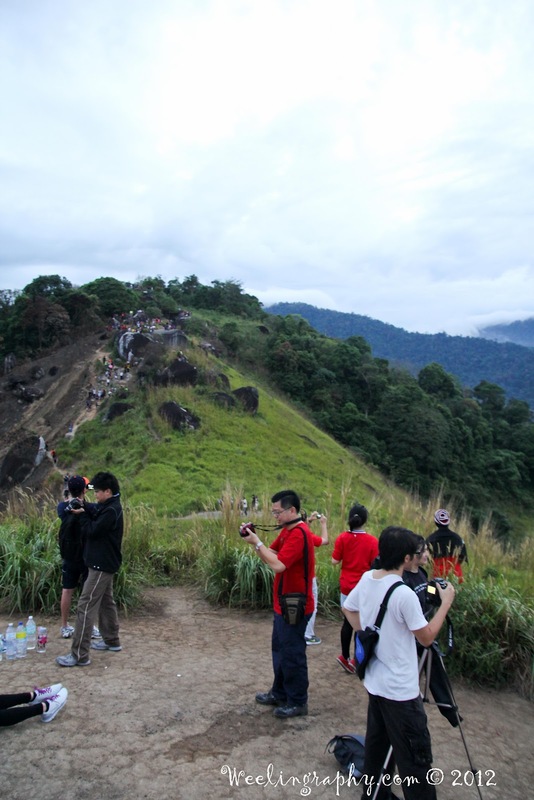 And because of it popularity it's saturated with people, there is just way too much people in this small area that caused frequently stop along the hike to wait or stop for the person in front of us. 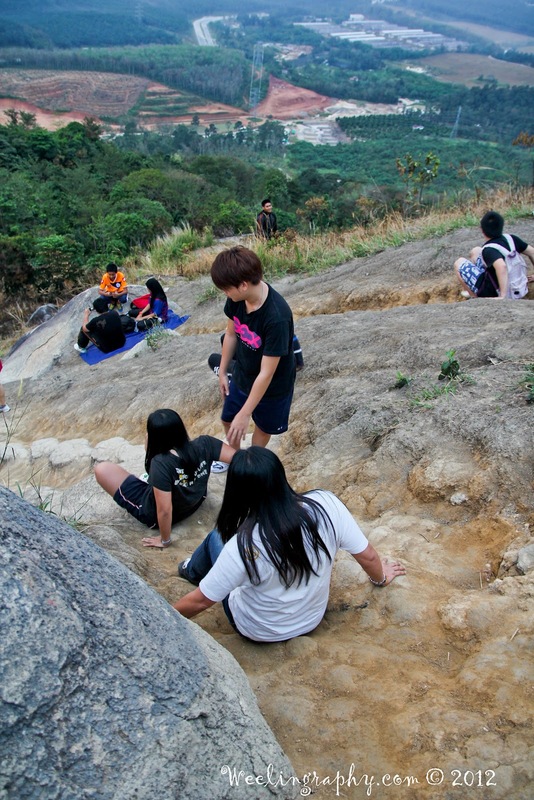 Beside the narrow trails some part is very steep, and very slippery ( because i'm wearing just my slipper ). 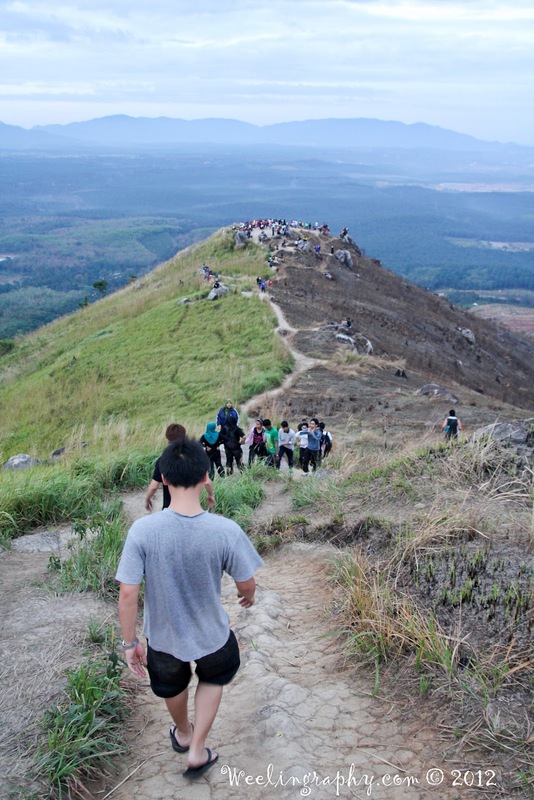 even saw one teenager fall down from the steep slope, according to his friend he turtle-turned for 3 times before landing at the flat land. It's a good spot to watch sunrise, but unfortunately that day clouds blocked the just awake sun and we didn't manage to watch the sun rising moment but still managed to watch the golden sky. 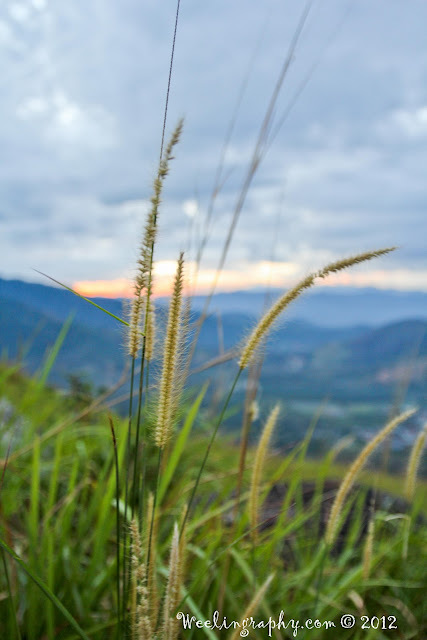 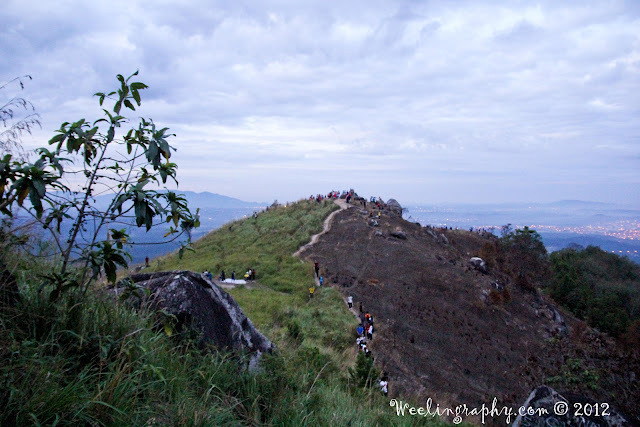 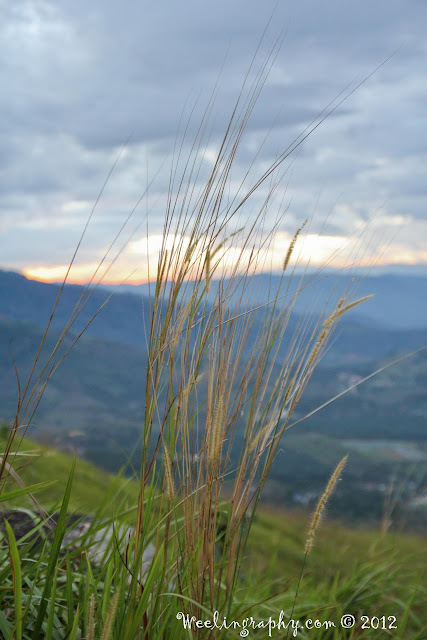 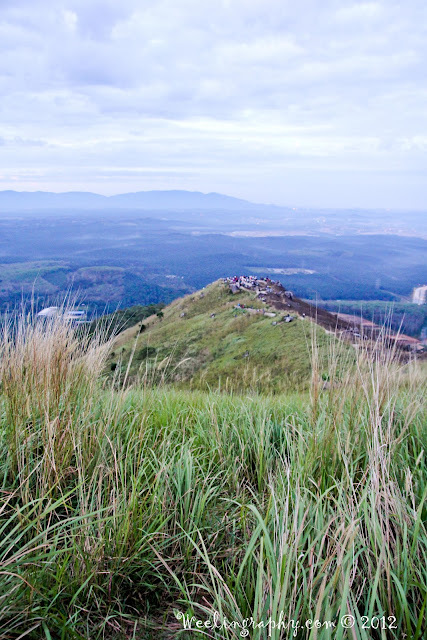 Broga hills in Semenyih also called bukit lalang ( congograss hills) because of the native congograss filled the whole hills. 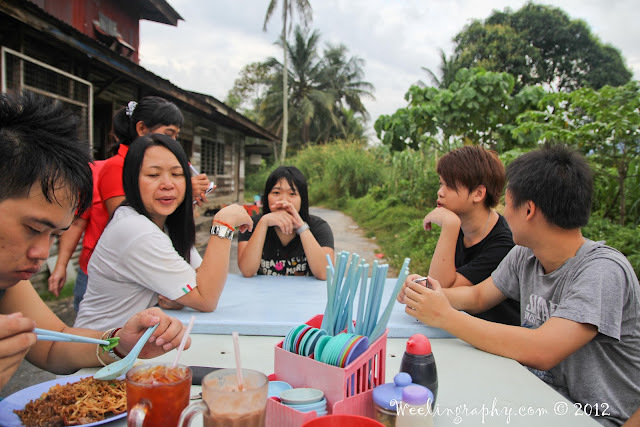 Heading toward kajang and then semenyih , it's located about 5 minutes drive from Nottingham University , you will noticed many car park beside the road, and there is a sign noted RM2 for parking, and it is opposite a rabbit farm. 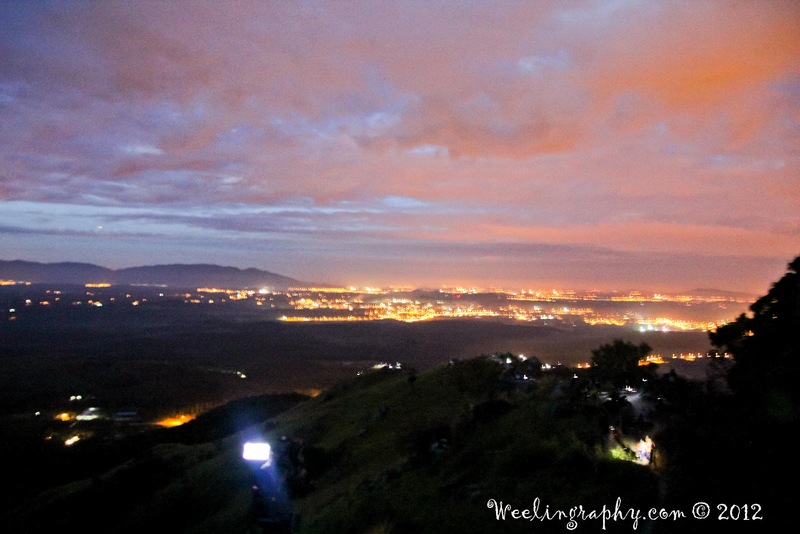 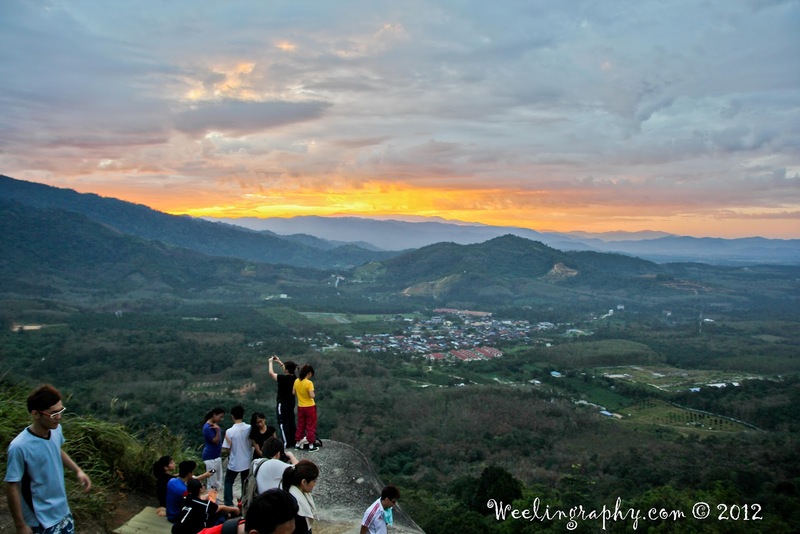 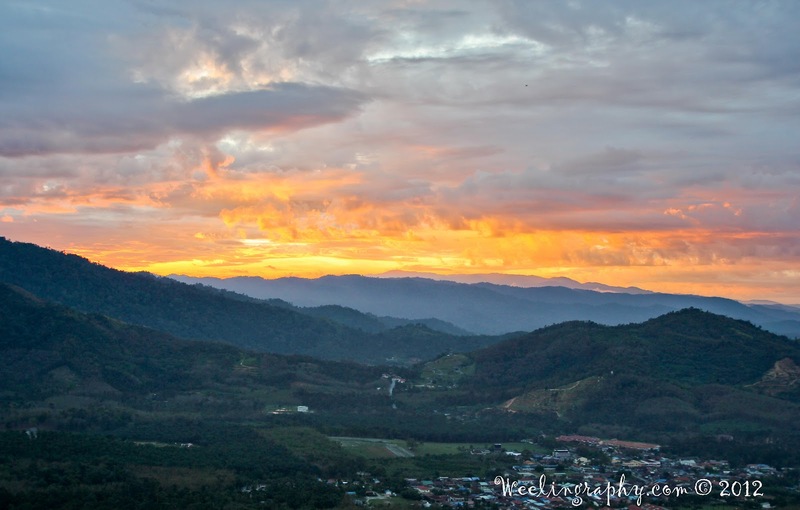 The golden sky - magnificent view from Broga Hills.